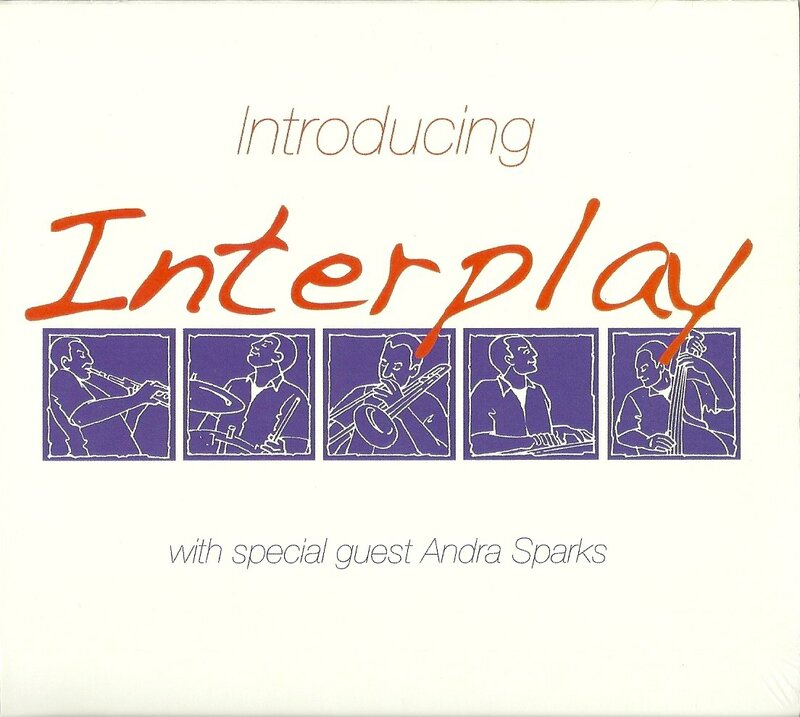 Introducing Interplay is the band’s first offering on CD, released on Silvery Records. The sounds on the album reflect the band’s development on the road, shaped by experimenting, taking risks and putting the audience at the centre of everything it does. All tunes and lyrics are by Adrian Litvinoff except where stated. Playing time approximately 67 minutes. You can order CDs securely online from Silvery Records here or download the album / selected tracks from CD Baby. As you will know if you’ve heard us live, the tunes are evocative and warm, connecting with emotions and experiences, memorable rather than abstract. Drawing from our experience in many musical genres we explore all sorts of textures and sounds not always associated with contemporary jazz, to delight the ear and create ‘the sound of surprise’. The guys in the band are all well known in the region – and their playing on the album shows just why. Richard Baker is a fine trombonist. If he’s not a virtuoso yet he soon will be! His classically-honed technique is put to awesome and expressive use in ‘Faces and Places’ and ‘Grey Day at Gorey’. He tears it up big-time on ‘Boogie Stop Shuffle’, while his solo on ‘Ode to Duke’ perfectly mirrors the mood and delivery of the lyric by Andra Sparks. Alan Wakeman on soprano and tenor saxes brings something wild and free to the ensemble that is always grounded in musicality and emotional honesty. His solos on ‘Hang Around’ and ‘Island’ are both outstanding, as is his rendition of ‘Rising on Thermals’. Neil Hunter is a gifted and creative pianist, and energy just seems to flow through him. At times reflective and tender, at others driving and exuberant, he is a great accompanist as well as soloist. His poignant opening to ‘Hang Around’ perfectly sets the scene for what follows, while his inspired excursions on ‘Boogie Stop Shuffle’ and ‘After You Stu’ are other highlights. Adrian Litvinoff is a bassist whose playing style has been shaped by his instinct as a composer. Always searching for the melodic complement to the other players, his lines climb and fall in response to the music, even when holding down a groove. Enjoy his accompaniment on ‘Faces and Places’ and ‘Step Lightly’ as well as his solos on ‘Grey Day’ and ‘Island’. Dave Balen on drums and percussion brings a history of musical exploration and immersion in many genres including Indian music. His approach to music (and to life) makes him an unselfish accompanist as well as a highly creative soloist – hear his multi-layered contribution to ‘Grey Day’ or the extraordinary percussion accompanying the bass solo in ‘Island’. Andra Sparks joins us for two numbers on the album. Andra’s voice is bell-like, clear and suffused with warmth, and she really knows how to get inside a lyric! Her contributions to ‘Hang Around’ and ‘Ode to Duke’ add freshness and polish to these numbers and enrich the album as a whole. Have you heard the album yet? Which track do you like best? You can hear tracks now and order CDs securely online from Silvery Records here.